Home » Why Petro? 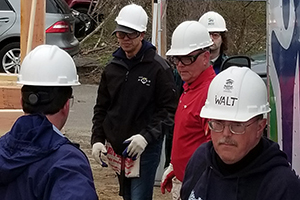 » Community » Community Articles » Petro Home Services partnered with Habitat for Humanity. 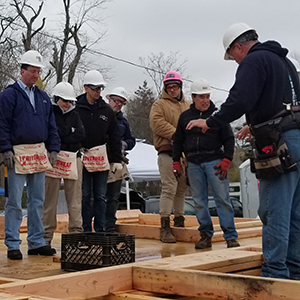 Petro Home Services partnering with Habitat for Humanity to deliver homes to families in Bayshore, Long Island. 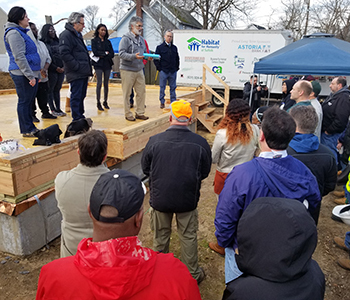 April 19th, 2018: Long Island, NY - Petro Home Services was proud to launch our National partnership with Habitat for Humanity with the Suffolk County locale. 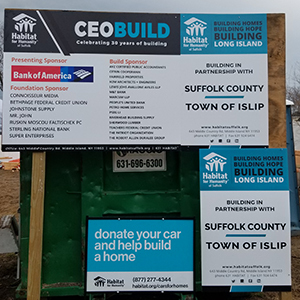 We helped them celebrate 30 years of building in Suffolk County by raising the walls of 2 new homes in Bay Shore with 30 of Long Island's most prestigious CEO's and Executives, including our very own CEO and President Steve Goldman and Director of Long Island Operations, Ed Gomez- a huge thank you! 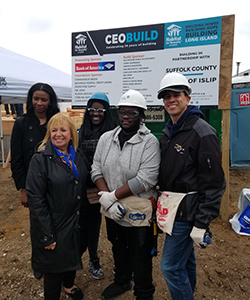 Through the CEO Build program, Habitat Suffolk raised $200,000, enough to create a place to call home for both the Sanders and Thesatus families! The individuals who will live in the homes once completed were there for the first day of the build and were very grateful. 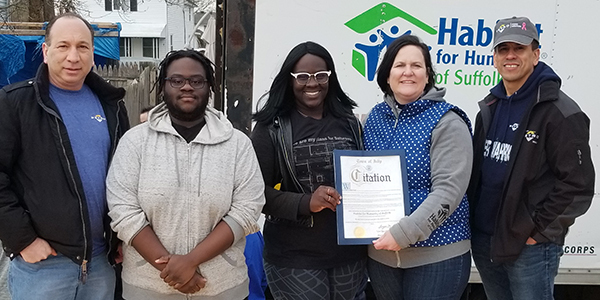 One of the recipients of a house, C. Sanders, started out volunteering for Habitat and will now have an affordable home of her own in the town where she grew up. "I am appreciative that they have come to do it because they could be in their offices doing real work; instead they helped a good cause and that’s always a good thing," Sanders said. There is something special about actually being able to help construct homes in person, in addition to giving a donation. 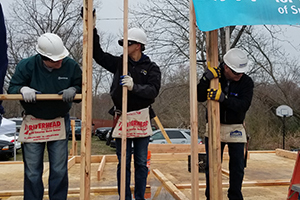 Habitat for Humanity builds strength, stability and self-reliance through shelter and envisions a world where everyone has a decent place to live. Petro Home Services share’s these values in partnership as we focus on putting families on a new path and improve the place they call home, that’s the Petro Promise as we serve our community. – working side by side, a hand up! Stay tuned for additional information on upcoming builds in your area and how you can be a Petro Home Services area champion and/or volunteer! For additional information, please contact Judy-Ann Hargrove. Steve Goldman and Ed Gomez pictured with proud home recipients, the Sander’s family. FIOs Long Island covered the event, click here.